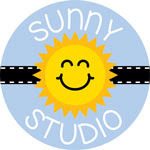 The Cast and Crew for Gina K. Designs welcomes you to the final day of our April blog hop celebrating the new stamp sets by Gina K. and the illustrator team from Gina K. Designs! 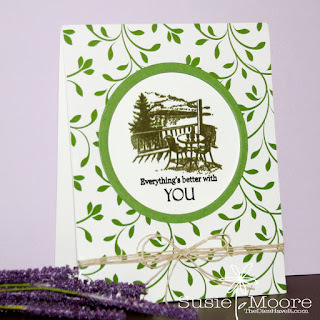 We hope to inspire you with some beautiful card projects as you hop along to each designer’s blog. 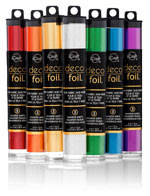 Can you believe all of the items that are packed into this mini kit? You could be stamping for weeks! 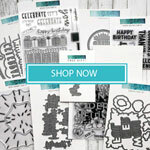 If you just need the stamp set though, you can also purchase it in the Gina K. Designs store. For my first card (pictured above) I used the charcoal brown card stock from the kit for my card base. I scored it every 1/2" for some textural interest. Then I stamped the anchor onto a white die cut which was made using the new Stately Flowers 11 set. I finished my card using the anchor sentiment which is white heat embossed onto the same card stock as the base. Next is my card using the outdoor scene stamped in Dark Sage ink. There are just so many possibilities with this set! How often do you find a set with four perfect masculine images and sentiments? Just sayin'! 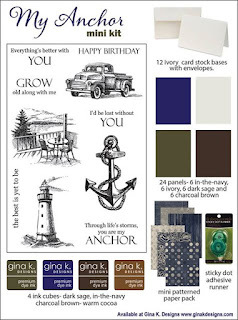 Enjoy the gorgeous inspiration samples from the team and then comment on each blog for your chance to win a $20 Gina K. Designs gift certificate! To see who won, check the Big News Forum at StampTV a few days after the hop. Ready for more awesome creations? Don’t forget to pop over to the Gina K. Designs store to check out all of the new products available this month in the What’s New section. Even though the hop is complete now, I'll still see you again tomorrow! Love the b & w!!!! 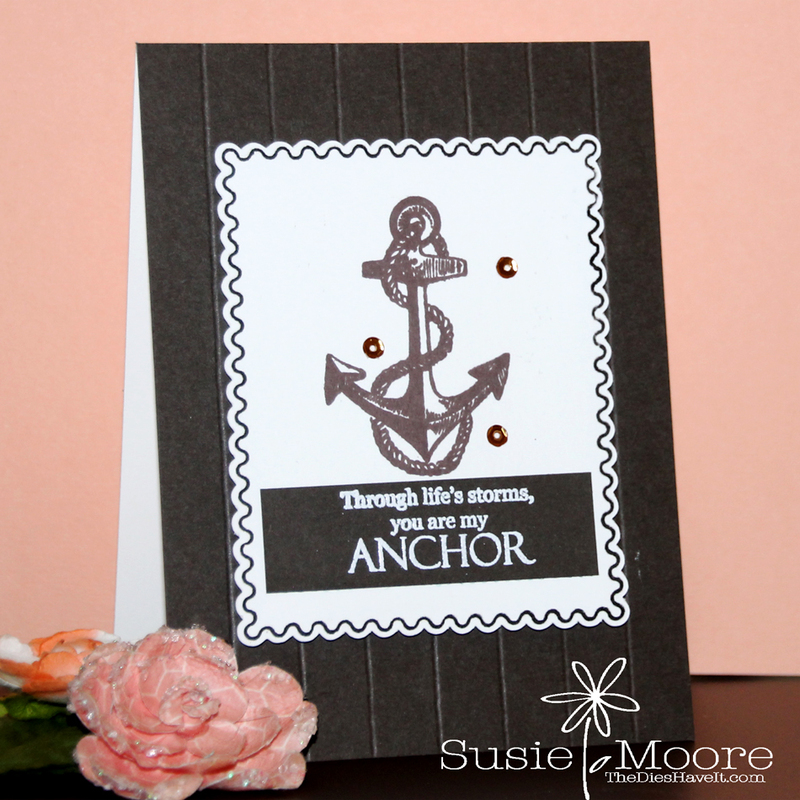 The black and white anchor card is a perfect masculine card! Love the scoring you did on the card panel; it adds just the perfect touch. Gina what a beautiful collection. 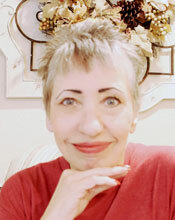 You are an inspiration to all that enjoy cardmaking. I aspire to be half as creative as you are. Watch you creations regularly. Thank you for being a God send and sharing your awesome ideas. Great cards. I really like your anchor. Love the wood grain with the anchor and postage stamp. Great combination. I like the deck on the foliage. Great cards! Love the B&W card - and the leaf paper is perfect with the porch card! Beautiful cards. Thanks for sharing..
Beautiful.....thank you so much for sharing. Wonderful examples! Love the postage stamp one. I love the way you combined the stamp from Stately Flowers with the anchor from the mini kit. Thanks for sharing! Thanks for sharing! We get so much inspiration from you all. Wonderful cards made with this set. Great sentiments as well as wonderful images. Fabulous cards, Susie! 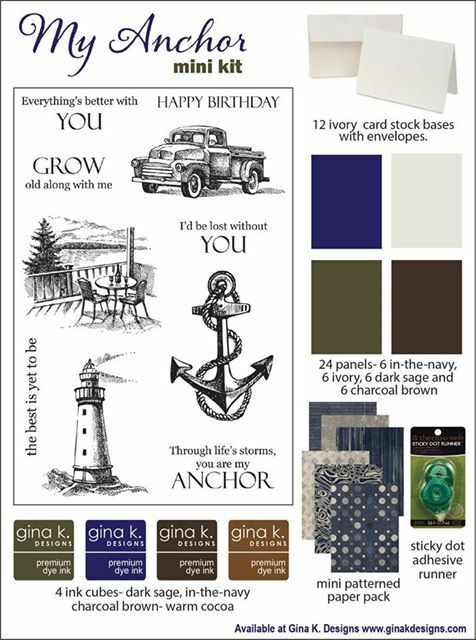 Love your b&w nautical card! Great cards! Thanks for the inspiration!! I love the way these stamps stand on their own with no need to color them, unless you want to. Your cards are beautiful! Totally fabulous card designs, Susie! Handsome cards! Loving that anchor one! 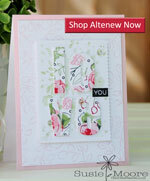 Such lovely featured focal images on your cards! Two great cards. Love the black and white. Thanks for sharing and inspiring us. The scored background is wonderful and you do lovely cards. Wish I could crawl inside your head and learn how you decide what to add and when to stop. Love your cards and inspiration. Thanks. Really cute cards! Love the colors. I love how you did the straight dry embossing lines onto the background of your first card. Great idea, and it adds so much interest. Great work. Great job! Thanks for the ideas! Susie, love your cards! I love the scored background on your first card. Love them both and yes to this great kit and stamps! I like your cards for guys! Awesome cards. Loved the scoring, looks like panels. Beautiful job on your cards! This new kit is awesome for masculine but also can be used for much more. Wonderful cards. I love the green on green!!! Beautiful creations! I like the scoring on the background of the anchor card. Just enough!! Nice job.